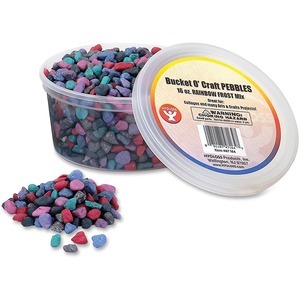 Decorative pebbles in unique color combinations add zest to your craft projects. Reclosable container keeps everything together for easy storage. Various shapes and sizes are perfect for making collages, decorations and more. Pebbles are designed for children ages 3 and up.